Let me introduce myself. My name is, alas, Rug, though I was, soon after birth, given the title Alicia de Chastelaine of Zurich and Kilmarnock, and that is what you will find on my certificate of Bernardine purity. For I am a pure dog of great heritage. I have been called many other names in my itinerant and restless life, but my current human household laughingly compared me to carpet, and the appelation remains. I pretend to acknowledge it, but in point of fact, as a Swiss aristocrat, via an Ayrshire puppy farm and sundry other locations, I resent it enormously. I am more than a mere floor covering! At any rate, to the issue foremost in my mind at the moment Apparently, the household humans have been considering plastic surgery. Which initially, I thought may have offered some mild entertainment, with the prospect of tucked chins, straightened noses and less elephantine ears. But no, it seems they were considering plastic surgery for, and I can hardly bring myself to admit this, myself. 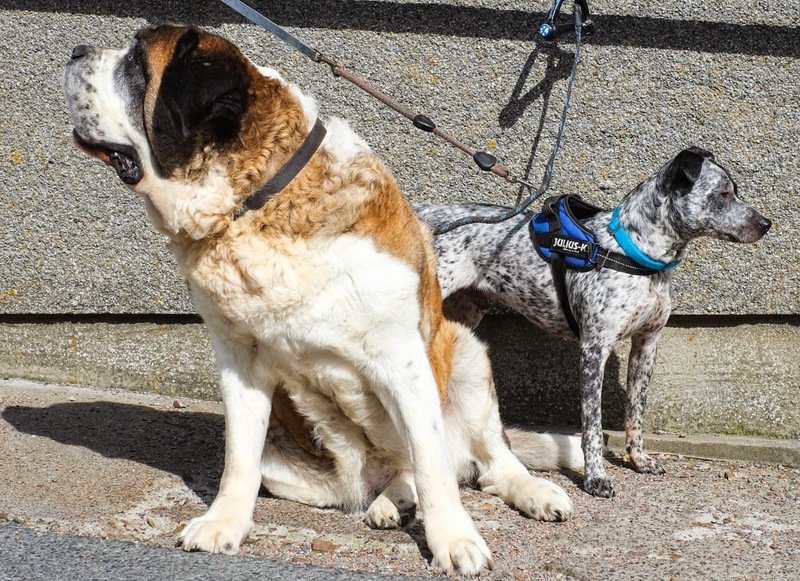 I know, it defies credulity Moi, the most delectable of St Bernards (pronounced BerNARD, please, as in Pass, Waltz and not in Ingham, but possibly in Chalfont). I was once considered potential Miss Canine Kilmarnock (Giant Breeds) but was pipped by a rancid Rottweiler with halitosis and borderline personality disorder. But then, don't they all? I bear the perfectly textured face of my Bernardine genetic inheritance, admittedly paying the price in practicality for my undoubted beauty. The food caught in the recesses of my jowls, for instance, which gently matures into the aroma I call L’Air Du Chien. Once, my male human tried to clean my teeth with a small brush and something that tasted slightly of the Domestos toilet cleaner I sometimes savour when lapping at the WC (an illicit, but harmless pleasure) in the middle of the night. I gave him a gentle munch to illustrate my disquiet. After the plaster cast came off, he was a bit more curious when it came to my dental hygiene. The plan discussed (in my hearing, no less) by the housepersons involved lifting the folds of skin above my eyes and providing me with tauter cheeks, less amenable to capturing the month’s supply of super masticated Dried Buffalo Hide and irradiated Calf’s skull. And a tightening of the mouth would alleviate the endemic drooling which has meant the provision of waders, leggings and waterproof trousers for some over sensitive visitors, those that still come after the Great Versace Incident. It would all take a couple of days in the vet’s surgery, who was, it seems offering deals on pioneering cosmetic surgery for dogs. Alas, Victoria the Vet, when we arrived for my initial consultation, seemed surprised by the extent of my facial droopiness, and expressed the opinion that it would require not so much plastic surgery as (a) excavation of accumulated detritus of the cheek with a small trowel (b) heavy duty irrigation with a firehose and (c) so much skin removal that I would look, as she put it, like a Boxer in the slipstream of Mirage jet fighter. Also it would cost approximately £10,000. She recommended homeopathy but I barked my disapproval, which I think my human companions both agree with. Stupidity can only be allowed to go so far. I prefer my interventions to at least be evidence based. So, it seems I am to be left to droop, slobber, suppurate and smell without medical intervention. Frankly I am relieved. After all, the essence of Bernardinism is to be found in said droopiness, slobbering and suppuration. The quote from the Salford poet Robert Rose jumped out at me from a tweet posted by Dumbarton MSP Jackie Baillie. Fergusons is the last non-military shipyard on the Clyde and the last of any sort on the Lower Clyde. It now being in administration, with the potential loss of 70 jobs, is a tragedy for the communities of Port Glasgow and Greenock. This was inspired by a post on Roger White's 'No Thanks' blog, which you can find here: http://mercinon.wordpress.com/2014/08/07/the-sovereign-will-of-the-scottish-people/ . It analysed the repetition of the phrase 'The Sovereign Will of the Scottish People' by Alex Salmond during the recent debate on STV with Alistair Darling.